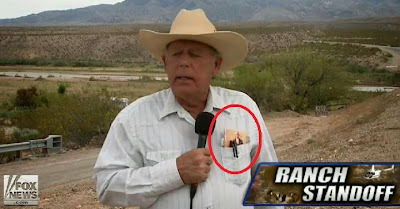 This post is a collection of links to all kinds of media information related to the Cliven Bundy Nevada ranch stand-off with our "Federal Government" under the name of the "BLM" (Bureau of Land Management). I'm not a conspiracy believer or purveyor and therefore this post is going to contain links to what I determine to be "well-established sources". To me, "well-established" can mean one of three things: 1) I've been familiar with the source for several years and I trust them (keep in mind that I trust NO SOURCE 100%); 2) They are local, "mainstream" media sources; 3) They are "direct source" information that is either presented by the Bundy family (or their representatives) OR, live-recordings from the scene that have been uploaded to YouTube or other online audio/video hosting sites. This blog post will not be updated in real-time. I have two jobs and will update this post as time allows. Bookmark the link to this post if you want to keep up to date on the miscellaneous links I'll be posting here in relation to this story. All stories below are sorted by date. I've also included the actual LINK (with hyperlinks - you can click on or copy them) to each story so that you can easily see the source of the story or video before you click on it. At the bottom of this post I will include various links related to this story. They may be links from sites that SUPPORT or OPPOSE the mission of Cliven Bundy or they may be opinion articles or videos that SUPPORT or OPPOSE Cliven's mission. I support Cliven Bundy. I may post links to the opposing side so that you have the opportunity to visit those sites and COMMENT IN SUPPORT of Cliven and OUR FREEDOM. I don't tolerate a__holes here (because I have that right on my site). Don't expect the opposition to do so on their sites, either (because they have that right on their sites). Please represent the side of FREEDOM with a calm and responsible mindset. Thank you. Please post any links you would like to see considered for inclusion in this post in the DISQUS comment section at the bottom of this post. YOUTUBE CHANNEL IN SUPPORT OF CLIVEN 'N CAROL BUNDY - Several interviews with Cliven are here. Dave Bundy, son of Clive Bundy out of Jail after arrest for defending Cattle. No Charges! Rancher speaks on behalf of Cliven -snipers surround his ranch- is this STILL AMERICA? 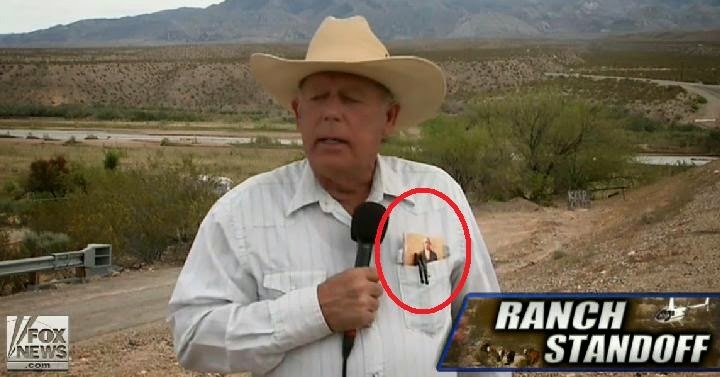 BREAKING: Armed Standoff Between BLM and Bundy Ranch Over As Feds RETREAT! – Update: Crowd Cheers! As we have said from the beginning of the gather to remove illegal cattle from federal land consistent with court orders, a safe and peaceful operation is our number one priority. After one week, we have made progress in enforcing two recent court orders to remove the trespass cattle from public lands that belong to all Americans. We ask that all parties in the area remain peaceful and law-abiding as the Bureau of Land Management and National Park Service work to end the operation in an orderly manner. Ranching has always been an important part of our nation’s heritage and continues throughout the West on public lands that belong to all Americans. This is a matter of fairness and equity, and we remain disappointed that Cliven Bundy continues to not comply with the same laws that 16,000 public lands ranchers do every year. After 20 years and multiple court orders to remove the trespass cattle, Mr. Bundy owes the American taxpayers in excess of $1 million. The BLM will continue to work to resolve the matter administratively and judicially. So just like that, it's "over"? This whole story just makes me sick.